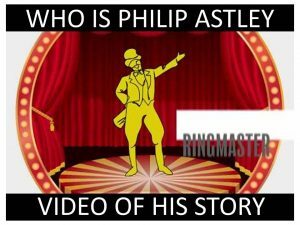 On 9th January 1768, an equestrian, entrepreneur and showman called Philip Astley (the father of modern day Circus) drew out a ring on the south bank opposite the Houses of Parliament in London. He presented thrilling horse acts supported by tumblers, acrobats, jugglers and clowns. He created the very first Circus. Every Circus, anywhere in the world, began at that moment in time. Throughout 2018, Circus250 will celebrate 250 years of Circus in a nationwide programme of astounding events in Circuses, museums, archives, film festivals, libraries and science centres. Circus is wonderful, it is for everyone to be part of and enjoy.